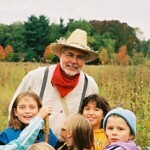 ALNC is leading the way to ensure visitors of all ages and backgrounds have opportunities to connect with nature by offering positive and constructive learning opportunities that capture their interest, engage their senses and teach them to appreciate the interconnectedness of all living things. Adult & Teacher Workshops – Whether you want to learn a new outdoor skill or brush up on teaching techniques, ALNC offers a wide variety of both adult and teach workshops. Learning’s a “natural” during hands-on field trips to ALNC! 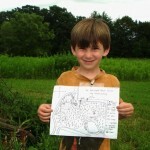 School Field Trips – Learning’s a “natural” during hands-on field trips at ALNC! 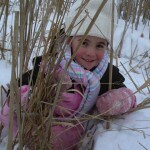 We work with teachers to ensure that outdoor experiences are an integral part of a child’s education. 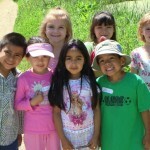 After-School Programs – Educational and adventurous programs for elementary and middle school low-income students challenge youth with outdoor exploration and activities. Scout Programs – Troop badge work, overnights, pre-scheduled programs, and Eagle Scout projects lead scouts to a deeper appreciation of the outdoor world. 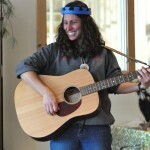 At-School Presentations – For classes unable to visit ALNC, our naturalists deliver hands-on nature programs at schools. 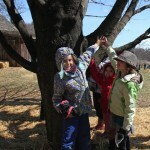 Special Events – Leopold Discovery Day, Maple Syrup Fest, Fall Fest and Pipers in the Prairie offer exciting nature-oriented fun for the entire family. Birthday Parties – No kid is too old to celebrate naturally with a cool nature-themed birthday program and party at ALNC. 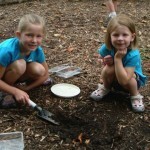 Summer Nature Camps – Outdoor adventure and hands-on nature activities encourage children, ages 2-16, to experience the great outdoors throughout the summer. From Backpacking the Ice Age Trail to Adventures with Laura Ingalls to Muckin’ in the Marsh and Overnight Family camps, there’s something for everyone to enjoy a summer of learning and discovery outdoors! The Mayapples are rising in the Kindergarten Woods! This spring ephemeral typically grows one to two feet high and blooms from May until early June. Fertile plants grow two leaves that will sprout a two-inch wide white flower, not above, but underneath its umbrella-like leaves. When cross-pollinated, the flower transforms into an edible yellow fruit, but the leaves and roots can be toxic to humans and other animals if ingested. Mayapples grow in open or shady woods preferring medium to moist soil. They are very common in the lower two-thirds of Wisconsin and will fall dormant by summer. Soon these tall gems will be blooming and the Trout Lilies have already started, hurry down before summer begins and these ephemerals fall dormant. Receive the latest information on our upcoming events, programs, workshops and how to get involved. Open daily from dawn until dusk!